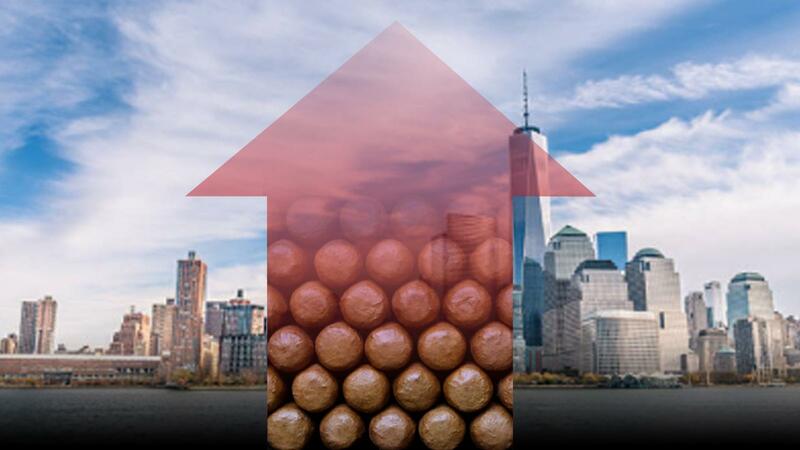 By this time next year, cigar prices in the The Big Apple are likely to look dramatically higher than they do now. Today, New York City's Committee on Health passed a series of anti-tobacco bills that will raise the cost of cigars, including value-priced, premium and machine-made smokes, sold within city limits. Additionally the city's new aggressive anti-tobacco legislation addresses cigarette pricing, retailer licensing and bans the sale of tobacco in pharmacies. For cigar lovers and retail shops, bill number 1544-B is the most important piece of legislation, which was passed by the Health committee via a 7-0 vote (with two members absent). Astute readers may recall that these anti-tobacco measures were introduced in April. However, the language has shifted dramatically and is now more aggressive in the bill that was passed today. The bill calls for a minimum pricing structure for a cigar, which is defined by New York City as "any roll of tobacco for smoking that is wrapped in leaf tobacco or in any substance containing tobacco, with or without a tip or mouthpiece." In other words, the measure does not distinguish between machine-made and premium, handmade cigars. Under 1544-B, cigars sold individually must adhere to a price floor and be sold for no less than $8.00. The measure would also assess an excise tax on cigars at the rate of 10 percent of the $8 minimum, or 80 cents. This means that single cigars could not be sold for less than $8.80 apiece, regardless of the MSRP. And this is before state, federal and tobacco taxes are applied. Moreover, for a box of cigars, the price floor would be calculated by counting the number of cigars in the box, multiplied by $1.75, plus $6.25. The excise tax for a box would break down to be 80 cents for the first cigar, plus .175 cents for each additional cigar. If the new bill becomes law, a cigar that carries a suggested retail price of, for example, $6.50 would have to be sold for $8, plus it would be taxed a minimum of 80 cents. A box of 20 cigars would need to be sold at a minimum price of $45.38, after taxes. According to the bill, the revenue generated by the 10 percent tax must be used by New York City to support public housing. While the vast majority of premium cigars retail for more than $8, the bill passed by the Committee on Health would still affect a good portion of cigars. According to the Cigar Aficionado tasting database, the editors have tested roughly 413 cigars so far in 2017. Of that number, 161 cigars retail for less than $8, or about 39 percent. "Maybe about 10 percent of my humidor is under eight dollars," says Vincent Nastri, owner of Barclay-Rex, which has operated in the city since 1910. "[The law] will drive consumers to buy out of state." According to Alejandro Ceballos, sales associate and shipping director of the Davidoff shop on Madison Ave., roughly 5 percent of his humidor is comprised of cigars under eight dollars. Bill 1544-B is scheduled to be taken up by the full New York City Council tomorrow, where it is expected to pass. After that, the bill would go into effect 270 days after it is signed by Mayor Bill de Blasio.